The ability of some people to sing beautifully and to play a voice of unusual melody fascinates and surprises, and at the same time, few realize that to develop his singing talent can be every person with due diligence and perseverance. Learn to sing may every person, and in this case it's not enough to just love music – you need to follow a number of rules to deliver voice and improve your vocal abilities. How to develop a musical ear yourself? For vocals, first and foremost, it is important to develop the ear – thanks to the good hearing the singer sings beautifully, getting into the right notes. Musical ear develops, it is not always inborn, and you can develop it by regular practice. The simplest exercise is the execution of sounds in unison with the notes of a piano or guitar. Start with a simple exercise – try to repeat exactly the sound of a particular note, published by piano keys. Then increase the number of notes, gradually expanding the range and complicating the task. Move to more complex exercises after you master the simple – when you start to get good with single notes, move on to propekanie two or three notes in a row. Don't try to get too high or low note – try to work in the middle range. Work with high and low notes when you develop the ear for simple exercises you will learn to identify the sounds and repeat them, observing their tone of voice. After gaining the technique, begin to sing along with your favorite artists, whose voice fits your tone and range. Try to imitate the singer and repeat the voice of his vocals. Sing along by song, the text of which you know or learned specifically. 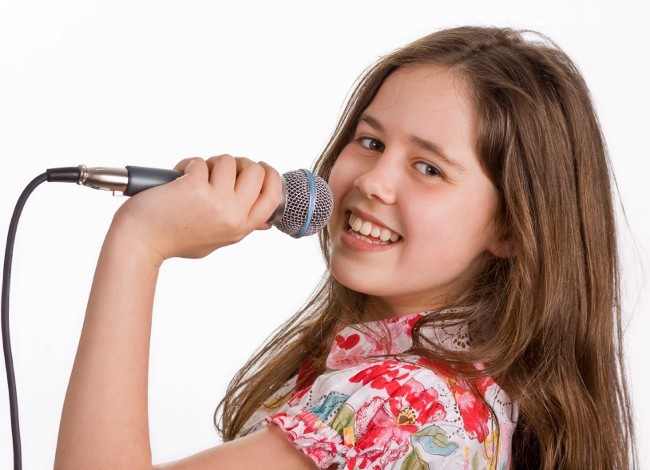 For training vocal abilities are encouraged to regularly record your voice to listen to your vocals. This will help you adequately voswhen youunderstand that the way you sing, and track from any vocal mistakes. Record your singing into microphone, and then listen to it several times – watch out for bugs, try to fix them. Develop proper articulation and proper breathing – breathing depends largely on how well and beautifully you sing. Breathing while singing should diaphragm and the lower ribs. Try to get rid of the shallow breathing and make the exhale as seamless as possible. Inhale vigorously through your nose, and exhale slowly so you have enough air for singing any phrase. Choose a good pause between words to once again take a breath for singing. For the training of the articulation abilities read more tongue twisters – they develop your diction. Try to pronounce all the words clearly, without swallowing sounds and word endings. Don't have to use tongue twisters fast is more important to pronounce them clearly, as clarity is important for the execution of various songs.